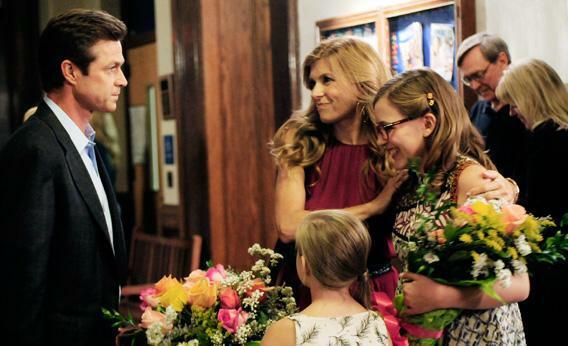 Nashville, starring Connie Britton, reviewed. Connie Britton and Hayden Panettiere in Nashville. We are inclined to trust the Internet fanboys who inform us that actress Hayden Panettiere is 5-foot-2. The more statistically minded among them have been appreciating her physical presence keenly since she played a superpowered cheerleader on Heroes. On Nashville (ABC, Wednesdays at 10 p.m. ET), Panettiere plays a conniving country singer named Juliette Barnes, and she seems tinier yet—which heightens the effect of the character’s considerable bitchiness. Juliette is artistically callow, personally charmless, and psychologically perhaps less than stable. It would seem that she thoughtlessly hooks up with her male collaborators not because she has slept her way to the top but because she enjoys toying with other people’s emotions and abusing her own and, hey, why not kill two birds with one stone? Radioactive insecurities undergird the villainy, and the hope of redemption glistens in Juliette’s anguished tears—but only faintly, for now, because Nashville is Y’all About Eve. Having strutted to the top of the charts, Juliette is now obstructing the path of Rayna James, a hitmaker of a certain age. We know that Rayna is a good woman because she is played by Connie Britton, and we know not to take good women for granted because we watched Friday Night Lights: Humility in the face of moral beauty was among the lessons gained by studying Britton’s Mrs. Coach, with her gorgeous toughness and sparkling freckles. Rayna is a less complex character. If you somehow missed the resonance of the regal gong-ring of her name, the pilot (show creator Callie Khouri) duly grabs a mallet to make clear that Rayna is Nashville royalty. There were the platinum albums, the sold-out tours, the special CMAs for piercing authenticity. … But at the concert arenas of our degraded age, the queen is box-office death. The suits are telling Rayna that the only way she’s going on tour is as the opening act for Juliette, whom Rayna naturally regards as an AutoTuned chippie unfit to unwrap lozenges for her backup singers. She built this label, and she hustled her tail off to become a glamorized working mom—with the editing whisking her straight from the hair-frazzled home front to well-coiffed spotlight—and now her daughters are crooning along when Juliette comes on the radio. The indignity of it all is enough to make a good woman dig in her heels. What Rayna lacks in complexity, she makes up for in family complications. Her withholding father (played by Powers Boothe) is a local powerbroker. A subplot about daddy’s dirty dealings finds him pressing Rayna’s husband (Eric Close) into a mayoral race. Despite Boothe’s performance—he sports the kind of grin that rubs its hands together—this development seems too ridiculous to warrant close scrutiny. But considered vaguely, the threads of Nashville concerning political strings and family ties contribute to the smooth motion of a slick melodramatic pulley system. ABC is the soapiest network, and in recent years its suds have bubbled like juicy blood (Revenge), stung like tongue-in-cheek mouthwash (Desperate Housewives), and whisked audiences away with the cloying scent of mandarin-lavender body wash (Brothers and Sisters). Nashville feels fresh because it catches a different tone. The few ironic winks it makes do not disfigure its straight face for quality pulp, nor does the sincerity harden into hokum. This is a musical in a low key, Sturm und Drang mellowed by strum and twang. Old flames simmer on small stages, and subplot hotties do sultry duets, and Connie Britton is mighty fine on the mic: clear eyes, full voice—can’t lose a music competition or a catfight.